Home Places That Buy Used Car Batteries Near Me? Places That Buy Used Car Batteries Near Me? Car batteries can definitely last for some years, especially if properly taken care of. But they don’t last forever – they will eventually lose their power and die. Furthermore, if ever your car battery gets old, the first thing you would do is to replace it right away, right? Well, that’s certainly a great idea. But if you want to recover the money you spent on your new car battery you bought, it would be much better if you can sell your car batteries for cash on places that buy used car batteries. And yes, you can sell used car batteries. But of course, ensure that they are still in a good condition before you decide to sell them, or you’ll just waste not only your time, but also your effort. Moreover, some places will purchase used batteries for a price of $5 to a maximum of $10 (depends on the condition), even when your batteries are in pretty decent condition. So, if you’re asking, “Where can I sell a car battery near me”, then you might want to take a look below to figure out where you can sell used car batteries for cash. 1 How Much Do Used Car Batteries Cost? 2 What to Do If I Don’t Want to Sell Old Batteries? Well, auto parts stores are everywhere. You can easily find them around your neighborhood or within the city. Also, if you don’t have an idea where these auto parts shop are located, there’s always a GPS on your smartphone that you can use while you’re driving around. Or to make it a lot easier, ask your neighbors – they should know some place where you can sell those old batteries. If ever you find one, try to ask them if they are interested in buying used car batteries. If they do, then that’s great, if not, move on and find other auto parts stores. Junk yards often pay for almost everything – including worn-out car batteries. And there are many junk yards available around you, just try to look for them in case you are having a hard time finding some auto parts shop. Almost everyone has an internet access today. Looking through the internet allows you to effortlessly find what you’re searching for. And if you have an internet access in your home, you might want to use that advantage to browse online and search for online auto parts store that don’t only sell, but also buy used car parts including the batteries. Moreover, since it is online, you don’t have to get out and spend some cash commuting or refilling your car gas tank just to find a place that is interested in buying worn-out batteries. Well, you can sell almost anything you want on eBay – this include car batteries. 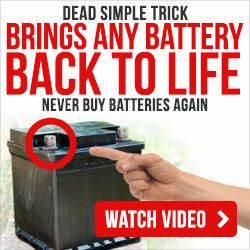 It does not matter if you’re going to sell a used, new, or dead car battery. Someone out there is willing to buy that, no matter the condition of the battery is. But take note: watch out for the shipping costs! The shipping costs can costs you a lot, particularly if you’re selling multiple car batteries. To avoid shipping costs for consuming your potential profit, try to list your auction as a pickup. Too lazy or too tired to look out for places who buy worn-our batteries? Have a yard sale instead! In addition, car batteries are not only bulky, but also heavy – this makes it a bit difficult to load them one by one into your car. Somebody out there might be looking for a used car battery, and the best way to find those people is through Craigslist. Here, you’ll be able to locate some people nearby that is interested in buying car batteries, no matter if they are still new or old. To make it worth it, try to search for people near your place that offers medium to high amount in exchange of your batteries. How Much Do Used Car Batteries Cost? If you’re lucky, you can sell a worn-out car battery for $10. But you’ll often get paid between $6 to $8, but this also depends on the condition of your battery and also on the buyer as well. However, if you have several used batteries in your garage, don’t just dump them. Instead, try to sell them – you could make more money this way! The only quite challenging part is finding a place that recycle old batteries and pay you. Although this may take you some time, it’ll be undoubtedly worth it! And here’s the tip: avoid selling one battery at a time – some places are not interested with that. As much as possible, try to collect several of those old car batteries before you decide to sell them. Keep in mind that some places only pay for batteries in bulk. So, if you think you have enough used car batteries, let’s say between 5 to 10, then that’s the best time to sell them. What to Do If I Don’t Want to Sell Old Batteries? Well, you can recondition them. Also, yes, it is certainly possible to recondition old car batteries. And there are several different methods and devices you can do to recondition worn-out batteries, which allows you to recharge them and extend they life. This way, you’ll be able to save more money instead of spending money for a new battery. So, if you have some few dead car batteries, don’t just throw them away – try to recondition them first, you might be able to make them work again. There are plenty of places that are interested in purchasing old or used car batteries, and above are just some of them. Furthermore, selling car batteries allows you to save more and at the same time earn more money by just selling or reconditioning them. Well, this can be tiring and time-consuming, but you’ll be definitely happy once you sold one! And of course, as much as you can, be patient – you’ll get to sell those car batteries sooner or later.